Notepad Corner: Yahmir now a teen, what to expect? Yahmir now a teen, what to expect? 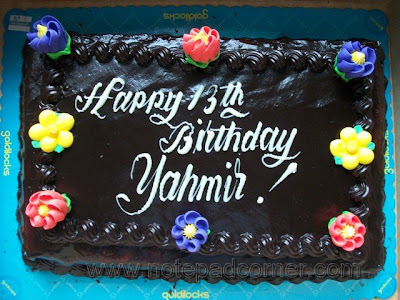 Yahmir, the youngest among my two sons has just celebrated his 13th birthday last August 12, 2012. I am now once again parenting a child on a challenging period - an in-between stage of neither a child nor an adult. 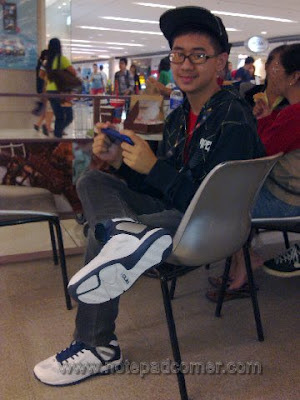 It is in this period where dramatic changes in behavior occur as per experienced with my eldest son, JM. What will I expect from a teen? Well, aside from anticipating an intense growth physically, I am also expecting for a swift progress morally and intellectually. I need to understand that this is the time where he may be confused at times when it comes to building his own identity and independence. The teen years are the time for us parents to help our kids grow into distinct individuals they will become. In some cases, the teen stage can be a period of conflict between a parent and a child. Therefore, communication is a must for us to send our messages clear without so much argument. Understandably, teens have the tendency to disobey us sometimes, the reason why it is necessary to lend an ear, listen to their ideas and opinions. By giving them a proper leeway, knowing their peers and attending to their personal needs will result better relationship with them. Yahmir is more stubborn than his kuya (elder brother) . I have high hopes that if I give him proper motivation, counsel and advice from time to time, misbehaviors will be lessened. There may be disagreement on some matters at times but we manage to patch up things in no time. To my son Yahmir, I wish you good health, happiness and more wisdom as you are now a teenager. Happy 13th Birthday my dear! First of all, happy Birthday to Yahmir. May he always be healthy, happy and loved. I soon will be having a teenage son and I am getting ready by reading materials and preparing myself especially mentally and emotionally. It will be another exciting stage in my child's life and I just hope we bond more together.